A busy Christmas period for St John. Guernsey’s Marine Ambulance was dispatched twice over the Christmas period. The Flying Christine III was sent out to collect and transfer patients on both Christmas Day and Boxing Day. St John would like to thank the volunteer skipper and engineers who gave up part of their Christmas Day and Boxing Day to crew the vessel. A paramedic and technician were also on board for both crossings. On both occasions, on arrival at St Peter Port harbour, the patients were transported to the Emergency Department of the PEH by road ambulance. The volunteer Community First Responders (CFRs) were also activated several times on Christmas Day. We would also like to thank the volunteers who gave up their time to attend these incidents. CFRs are trained volunteers who respond to immediately life threatening calls in their vicinity, to provide urgent care before the ambulance and paramedic arrives. St John Emergency Ambulance Service attended twenty five incidents in the twenty four hours between midnight on Christmas Eve and midnight on Christmas night. The calls were a mix of falls and medical cases, including some sudden severe illness. 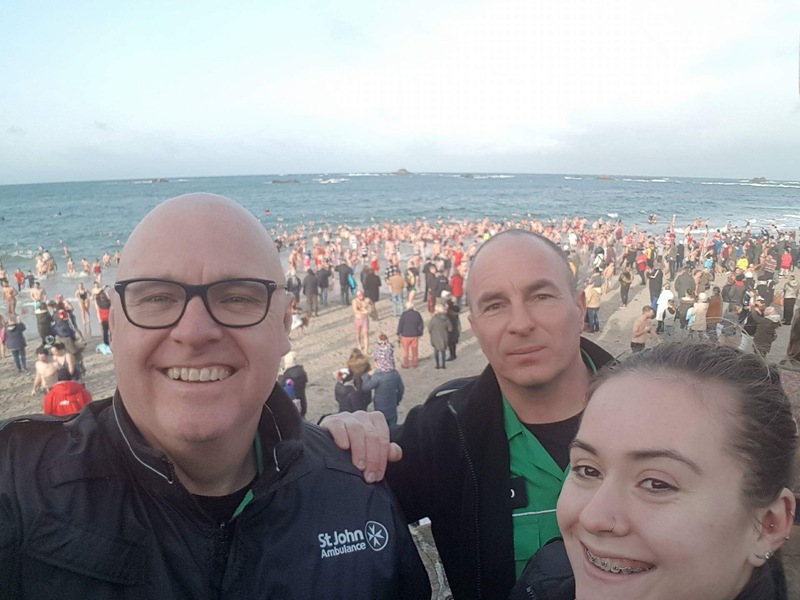 Volunteers from the St John Inshore Rescue Boat and volunteer First Aiders from St John were on duty at Cobo, providing safety and medical cover for islanders taking part in the annual Boxing Day swim. The Patient Transport Service was operating again on Boxing Day transferring patients to appointments at the renal unit at the PEH. Among the calls for the St John Emergency Ambulance Service on Boxing Day was a single car road traffic collision on Bulwer Avenue, St Sampson. We would like to take this opportunity to thank all the members of the public for their good wishes over the Christmas period. The messages and kind words are appreciated by the staff and volunteers of St John in Guernsey. Thanks also to our colleagues at Guernsey Police and Guernsey Fire & Rescue, and the staff at the PEH who have also been on duty and working with us over this Christmas period. 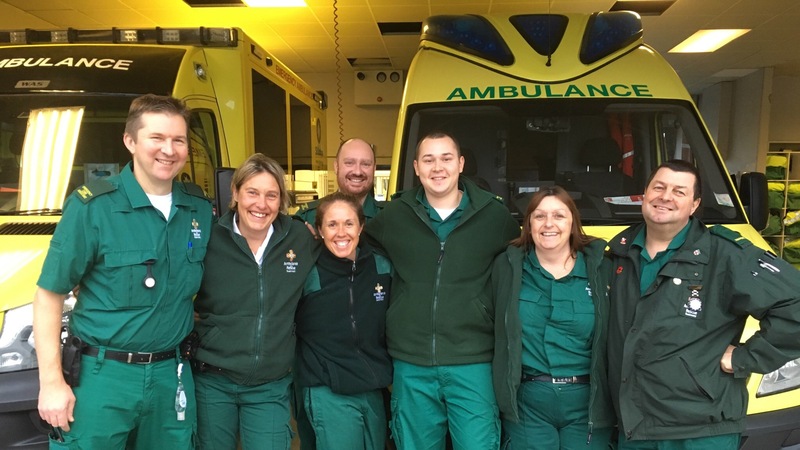 A Team was on duty on Christmas Day and Boxing Day. D Team took over for the night shifts.